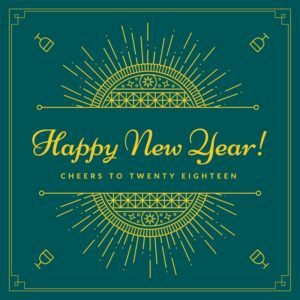 Here we are, saying goodbye to 2017 and welcoming in 2018. It is amazing to me how fast time flies. Let’s start off the year making plans so that our year will be smooth sailing. I have spent the last week or so setting three “The Happy Planner” for myself and my daughters. We are ready to tackle the year. It’s easier to accomplish a large goal once it has been broken down into manageable, smaller pieces. I can help you do that. I am super excited to be adding 2 super helpful services to my packages. I am adding linens and stationery. 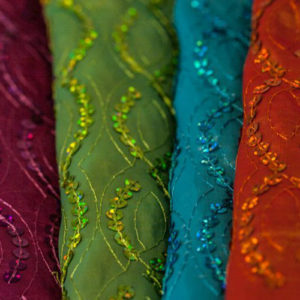 Polyester Solids, Damask, Crush, Krinkle, Bengaline, Rosette, Lame, Lace, Prints, Spandex, Organza and more. Stationery – In your immediate future you will need Save the Date, Invitations (Bridal Shower & Wedding) and Thank You cards. If we look forward you will need Just Moved, Birthday, Thinking of You and more. 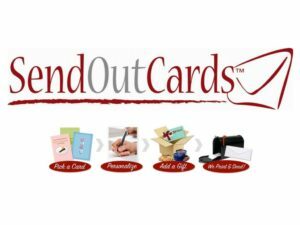 With Send Out Cards, you can create and send the cards from the comfort of your home any time of day. Once your address list from the wedding has been input in the system you will be set and ready to use. Contact me and we can discuss all the opportunities and the ease to use it.